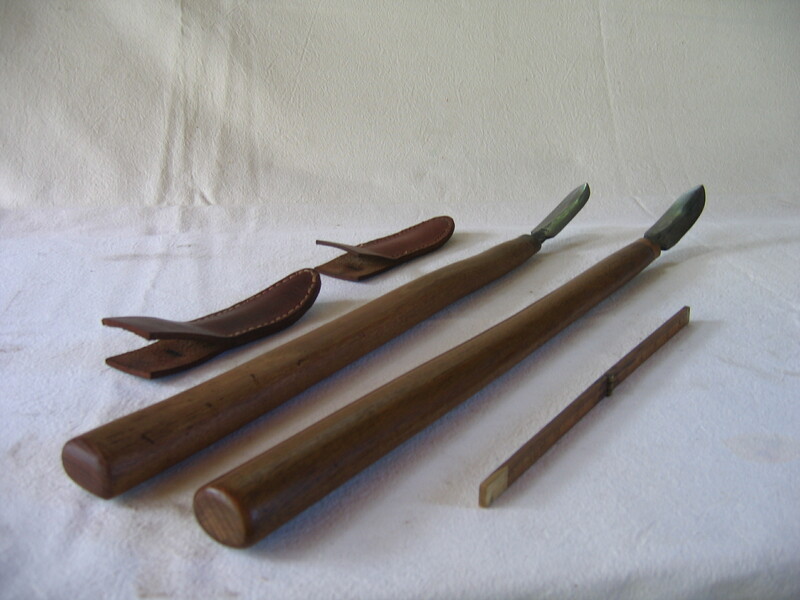 After the axe and adze have shaped the surface of a timber, the spear plane (yari kana) is used to achieve a smooth, slightly rippled surface, like calm water. Reading the grain closely is essential; always following the contours, feeling the edge. In use, the blade is drawn not crosswise or lengthwise, but quartering and slicing. The hands are spread wide, taking full advantage of the long handle’s leverage. Shavings come off in long, tight spirals. With a twist of the wrist, the blade can be made to dip and rise quickly around knots, or feathered out of the cut. Layout begins with the ink line (sumi tsubo). A string on a reel, passing over a pot filled with fiber and ink, the end secured to a tiny awl. Simple. So many things can go wrong with a simple device. Too little ink, too much ink, or just a bit too wet and it splatters. The string fouls, the reel binds, the ink pot leaks and leaves a huge spot of ink, hands like a printer’s devil. Pull it too tight, and that little awl comes at you like a dart. When it does work, there’s a fine black line, perfectly straight, from end to end of the timber face and you can proceed to mortices and tenons with confidence. Matthew Ross forged the blades, I fitted the handles. 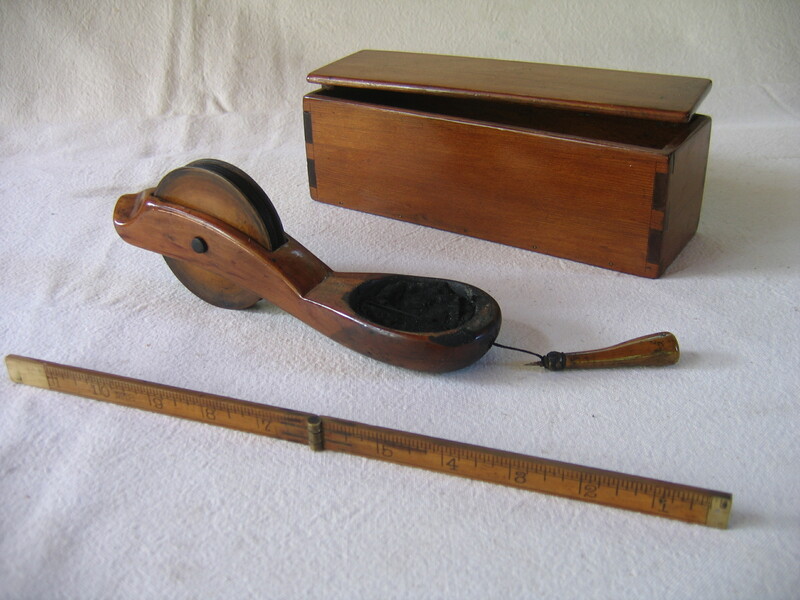 The ink pot is carved from plum wood, reel is boxwood. We made these tools to work with, and they work well.